Hey guys here are the first proto pics of the H4 with the neck extenon. What do you guys think? Big UPS to Sam for another outstanding piece. Have the H4 Crofader edition #2 I think, coming my way soon. Big UPS to Sam for another outstanding piece. Have the H4 Crofader edition #2 I think, coming my way soon.not a chance in hell man, Sam promised me the #2 "Crofader" edition! The mask is dead on guys. It looks great Sam. I can't wait to see the one with the neck bib. I AM officially starting the petition to encourage sam to make. 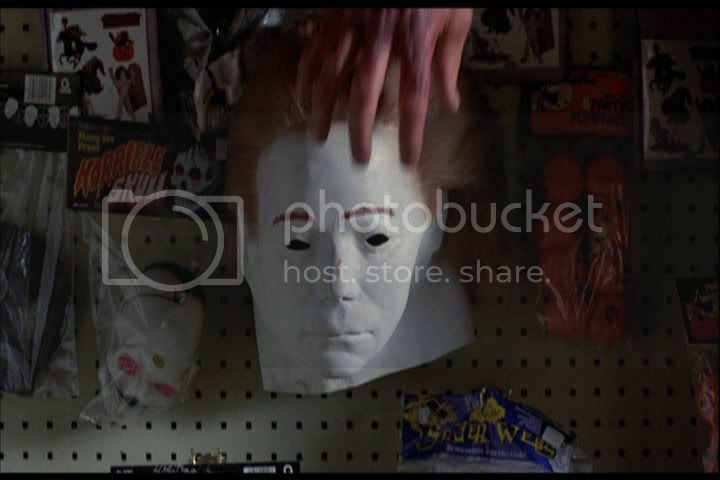 . .
the vincent drug store mask "the white kirk" (the BIG D edition)the school house "HalloweeN 4: the return of Ben Tramer" "Kirk"
It looks real good with the neck extenon. I mply cannot wait for this mask. If I were to get one I would have to have the neck extenon! I get # 2 Crofader Edition! The only thing I care about in life is that thLord doesn't get the #2 copy! No. I'll get #1 then. you know Jedi's are superior to th's. Yeah well, I'm both JEDI and TH. Best of both world's. Yeah well, I'm both JEDI and TH. Best of both world's.I hate you! ive got crofader ed lucky number 4 comin!!! !